As winter approaches, the eastern Mediterranean is in a state of agitation. On 31 October Turkey launched its own hunt for oil and gas off Antalya, a race which could stir up new tensions in the region. Ankara announced that it would oppose “unilateral, illegitimate and unjust” actions going against its interests. 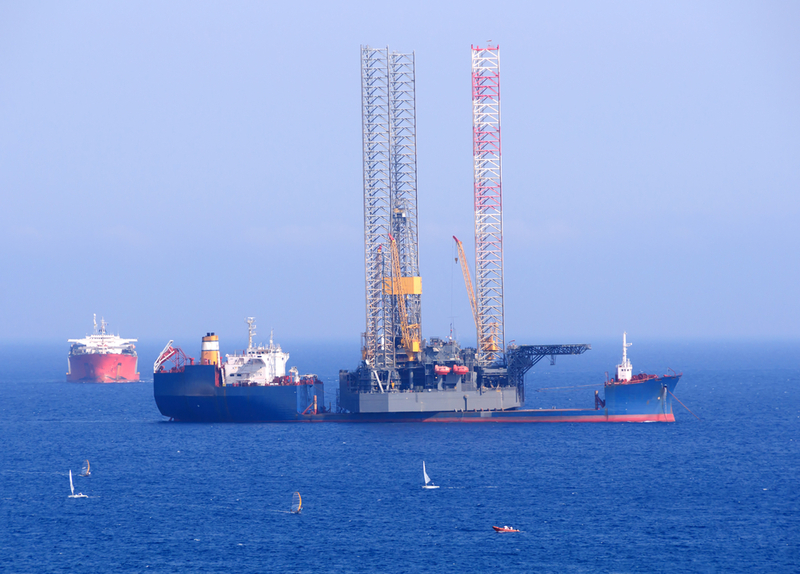 This at a time when Cyprus is about to resume exploratory drilling off its southern coast. The American oil-and-gas company ExxonMobil is due to begin drilling in the promising block 10 of Cyprus’s economic exclusion zone this month. On 4 November Turkish president Recep Tayip Erdogan threateningly warned the oil giants against any gas exploration in Cyprus, calling them “pirates” and “bandits”. The Cypriot media is talking of a “psychological war”, a “game changer” which Turkey is trying to impose on the eastern Mediterranean. Over the last decade, exploratory drilling has uncovered vast reserves of natural gas and oil near the coasts of Cyprus, Egypt, Israel and Lebanon. The Mediterranean, the Mare Nostrum, is rapidly becoming the focus of tensions linked to maritime borders and economic exclusion zones (EEZ). Two regional disputes exacerbate the problem: the Israel-Palestine conflict and discord over Cyprus itself, the island being divided since the Turkish invasion of 1974. On 4 November foreign diplomatic sources told the Cypriot daily Politis that Turkey’s recently acquired drilling ship named Conqueror (Deep Sea Metro II), sailing off Antalya, is only the start of a Turkish strategic plan to torpedo Cyprus’s energy program by 2019, and that the hydrocarbons question now represents a sticking point for the next stages of talks on the Cyprus question. In the context of a long-term solution ExxonMobil’s drilling could turn out well, but if the conflict remains unresolved then the risk is of escalating tension. “Turkey is conducting a policy of wait-and-see, so as to gauge the intentions of the Greek-Cypriot side on the Cyprus question and to get a full idea of the results of ExxonMobil’s drilling in block 10”, says Giannis Ioannou, diplomatic analyst at the University of Nicosia. Ankara, which occupies half of the island (Turkish Republic of Northern Cyprus, TRNC), does not have diplomatic relations with the Republic of Cyprus, which is internationally recognized. Turkey, as protector of the Turkish Cypriots, uses as its pretext the claim that the Cypriot government does not represent the interests of Turkish Cypriots. It refutes Greek-Cypriot claims to exclusive sovereignty, asserts that such sovereignty is subject to negotiation in the talks, and points to its own status as guarantor of a 1980 treaty agreement to protect the rights of Turkish Cypriots. Accordingly, Turkey does not recognize Cyprus’s economic exclusion zone. Neither has Ankara ratified the 1982 UN Convention on the Law of the Sea (Unclos) because of its misgivings about article 87 of part V. Following Ankara’s line, TRNC claims co-ownership of the island’s natural resources and opposes attempts by Nicosia to make unilateral contracts for drilling at sea. In September 2011 the Turkish Cypriots signed an “accord of delimitation of the continental shelf” with Turkey. 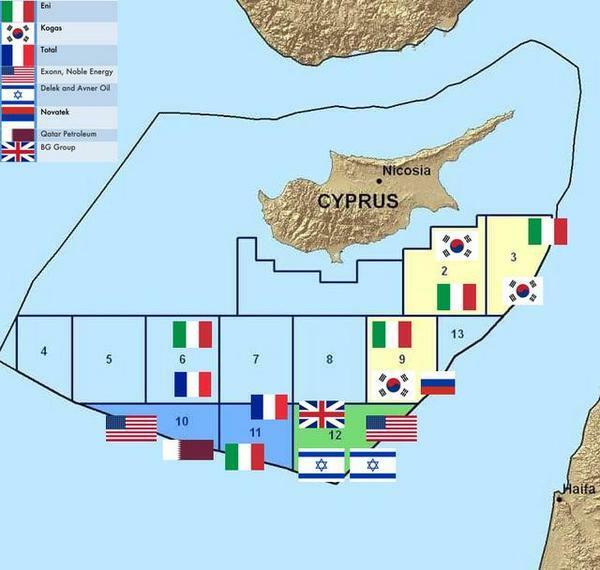 On this basis the separatist regime declared an “economic exclusion zone” comprising half of the Cypriot EEZ and including blocks 1, 2, 3, 8, 9, 12 and 13. Several analysts had suggested that Cypriot gas would be a catalyst for a solution to the Cyprus problem, but it has turned out to be an obstacle. In 2015 talks were suspended after Turkey violated the EEZ by broadcasting a Navtex message, an international alert signal. But the gradual recovery from the economic crisis of 2012-13 and the election of a new TRNC president, the moderate Mustafa Akinci, allowed talks to resume. The rhetoric used by the Cypriot president, Nikos Anastasiades, was that the hydrocarbons issue must not be a part of negotiations. He asserted that the benefits of natural resources would only be shared equitably by the two communities within the framework of a solution on a reunified federal Cyprus. Strongly disagreeing, Akinci reproached Anastasiades for not creating a committee for the gas and for taking decisions without consulting Turkish Cypriots. “From now on, at each proposition by the Greek side, Turkey will put gas on the negotiations table”, explains Giannis Ioannou. “Cyprus is paying for the failure of the Crans-Montana talks ”. It is very likely that Ankara will use the Cypriot EEZ to make future negotiations harder. “Natural gas has clearly become a game-changer. Erdogan will use it as a weapon in negotiations”, says the diplomatic analyst, adding: “I believe that Erdogan no longer wants a federal solution. He has a plan B, he wants a two-state solution. The status quo suits him”. Talks on a reunification of the island at Crans-Montana in Switzerland, under the aegis of the UN and three guarantor countries, broke down in July 2017. The plan involved the creation of a “bi-zonal and bi-communitary” federation. The two leaders could not agree on the crucial questions of territorial adjustments and security guarantees. With the support of Greece, Cyprus wanted the European Union to be the security guarantor for all Cypriot citizens, but Turkey did not want the the initial system changed, ostensibly fearing for the security of its community. The two leaders later blamed each other for the failure. During a televised press conference on 6 November, Anastasiades declared to Cypriots that the Crans-Montana outcome was caused by Turkish intransigeance. He proposed, without details, a decentralized federal government, adding that decentralization would not compromise Cyprus’s territorial integrity or its sovereignty, security or economy. Talks are currently at an impasse, since the Turkish-Cypriot leader had warned that he would resign if a federal bi-zonal and bi-communitary solution was taken off the table. Reelected in February 2018, Anastasiades sought to supervise the ongoing drilling off the island’s southern coast in order to stimulate economic growth. The proven gas reserves dispersed over the 13 blocks of a part of the Republic of Cyprus’s self-declared EEZ are estimated at 10-12 bn cubic feet. Natural gas in block 12, named “Aphrodite”, drilled by such companies as Noble Energy, Royal Dutch Shell and Delek, is alone estimated at 4.5 bn cubic feet. On 8 February 2018, Italian giant Eni announced a discovery of gas in the block 6, “Calypso”. According to Cypriot media its proven reserves are estimated at between 6 and 8 bn cubic feet. But these figures remain small compared to those of wells belonging to Egypt (“Zohr”, 30 bn cubic feet) and Israel. However, Cyprus’s ambitious energy program is bumping up against an increasingly aggressive Turkey. Tension between the Republic of Cyprus and Turkey had already increased in February after Turkish warships blocked the drilling ship Saipem 12000, belonging to Eni, which was heading towards gas deposits in block 3 of the EEZ. Following Turkish provocations drilling in block 3 was suspended. Nicosia accused Turkey of violating international law and announced that it would maintain its program of exploitation and exploration. In February 2018, following these tensions, UN Secretary General Antonio Guterres preferred to play for time, declaring that his role was not to “take position on the rights of member states regarding existing international law [...]. A solution to the Cyprus problem represents the best chance to solve the problem”. A point that he reiterated in his report to the UN Security Council in October 2018. “Because of Turkey’s actions in the EEZ it is not certain that Cyprus will be able to sell gas”, believes Fiona Mullen, specialist on Cyprus and the eastern-Mediterranean gas question, when asked in February. “The main lesson is that we must not pretend that the gas question is separate from the Cyprus problem. When one side has international law on its side but the other has weapons, the only way to solve the problem is by talking. Only a political solution will end this. [...] The main short-term risk is that Turkey will use its deep-sea drilling ship, Deep Sea Metro II, to drill in the number-3 well, where Eni is present. The long-term risk for business is that no gas will be exploitable until the Cyprus problem is resolved”, she says. From a more technical perspective there exist different options for transporting the gas, of which none has yet been chosen. The gas could be exported by connecting undersea pipelines, or by constructing a liquefaction plant. Another system, which facilitates the use of excess gas, would be to generate electricity which could be exported to Europe by undersea cable. For the EU Cypriot hydrocarbons are a means of diversifying its gas supply and reducing its dependence on Russia, and it has identified the East Med gas pipeline as a general-interest project. “At present I do not think that the East Med pipeline [serving Israel, Cyprus, Greece and Italy] is viable. It has been costed at $6 billion by its benefactors. That is a ridiculously low figure for a pipeline which would extend from Israel to Italy, says Fiona Mullen. “The quickest, simplest and least expensive way to export gas would be to send it by pipeline to Turkey. But that requires a solution to the Cyprus problem, which seems very unlikely right now”. Turkey also sees the possibility of gas exports through Cyprus and Greece as a threat to its own ambitions as a transit country through which gas from the Caspian Sea and central Asia can reach the European market. Last February Egypt, following tension in the Cypriot EEZ, deployed its warships into the area. With its actions Turkey is also testing regional alliances. Over the last ten years, discoveries of hydrocarbons and the effects of the Arab Spring have both shaped new axes of cooperation and pushed the Cypriot government to seek new alliances in the region so as to secure its future gas exports. But these ties are vulnerable since no military treaty has yet been signed. In this regard, recent years have seen several tripartite summits, including Greece-Egypt-Cyprus and Israel-Greece-Cyprus. For the first time in its history Cyprus has been playing, de facto, an important role in regional politics and security. By the same token bilateral relations with France deepened under the François Hollande presidency, with renewed defence contracts and French support for Cypriot resource extraction, including notably the presence of Total in several blocks of the EEZ. Under President Emmanuel Macron French involvement has continued to grow, particularly in defence matters. During a working visit to Cyprus in September 2018 French foreign minister Jean-Yves Le Drian declared that “For us the security of Cyprus is a priority in a particularly agitated region”. In an interview with the Greek newspaper Kathimerini he reiterated that France had always supported Cyprus’s sovereign right to explore and exploit its natural resources in accordance with EU law and international law. For its part the United States also reiterated Cyprus’s right to develop its resources, including those inside the EEZ. The Cypriot foreign minister, Nikos Christodoulides, visited the USA on 7 November and signed a declaration of intention which officialises and establishes a new framework for US-Cypriot security cooperation. Sources reported that there was also discussion about an American participation at an upcoming Greece-Cyprus-Israel tripartite summit. The shared position of Ankara and Turkish Cyprus seems to indicates that the economic benefits of gas for the two communities are only the tip of the iceberg. Beyond the economic aspect, obviously fundamental for a future federal state, lies the question of sovereignty, since Turkish-Cypriot participation in management of the reserves will allow Turkey to guarantee its vital interests in the region. This article was originally published by Voxeurop. It is published in association with the European Data Journalism Network and it is released under a CC BY-SA 4.0 license.